Straighteners have become an essential part of every girls beauty routine. 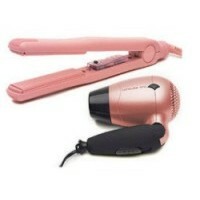 Below you will find a selection of pink straighteners and hair dryers with a style and price to suit everyone. New for 2008 is the gloss pink GHD Kiss, comes with a pink case with mirror and three lip glosses called Dare, Dazzle and Demure. The Pink GHD is released each year for Breast Cancer Awareness month. For every straightner sold a donation is made to Breakthrough Breast Cancer. Over �1.9 million has been raised so far. You can buy the pink GHD from the USA for approximately £143.00 including UK delivery. This limited edition Pro Pink hair straightener from Corioliss is another great tool that every hair stylist must own. Buy now and receive a Corioliss Travel Dryer worth �20 absolutely FREE. 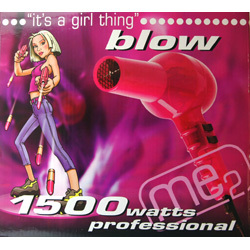 ME2's Blow 1500 watt Pink Hairdryer is the new stylish professional hairdryer. The Parlux 3200 dryer runs at 1900 Watts. 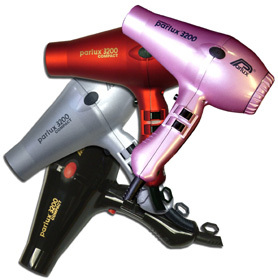 It is the fastest most compact professional dryer on the market today.